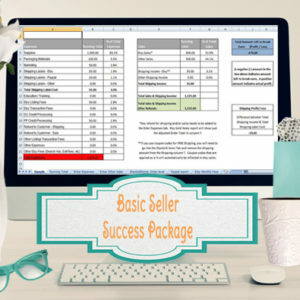 If you are undecided on whether to get the Raw Materials inventory system or the basic seller success package, now you can get both and several other templates, in this package that has everything you will need to run and get your handmade business organized. The Raw materials inventory system – This contains 3 templates in 1 file, all linked together. Made for high volume sellers, it can handle up to 1,000 finished items and track up to 100,000 raw materials. This system includes a Pricing Template and COGS sheet, for up to 1,000 items. The raw materials inventory, pricing worksheet and cogs page are all linked together, saving you a ton of time and effort and keeping track of when your raw materials are running low, just by entering the sales of your finished items. *This comes in 2 versions – the original works with 10 raw materials per item, and an upgraded version comes with 20 raw materials per item. 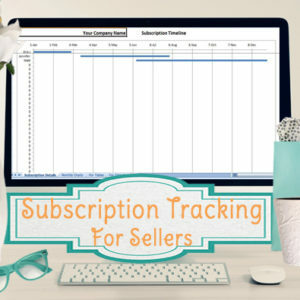 The monthly sales and expenses template – this is a comprehensive template to track everything in your business and then view the monthly and annual profit totals. 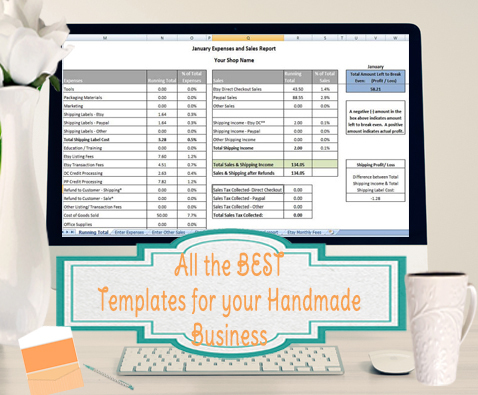 There are several pages in this template that are all linked to the main summary page, including a page to enter sales, expenses, and several pages where you can import sales/fees from your selling venues via csv (directions included). There is a 1 page summary for every month and an annual/running total summary as well. *Etsy- Paypal Edition – Ability to import your Etsy and Paypal sales and fees. *Website Sellers Edition – Ability to import your Stripe, Square and Paypal sales and fees. *All Venues Edition – Ability to import your Amazon Handmade, Etsy, Paypal, Stripe and Square sales and fees. •Mileage tracker – print and keep in your car for business trips and excursions – it’s tax deductible! •Timesheet – to track what you are spending your time on. 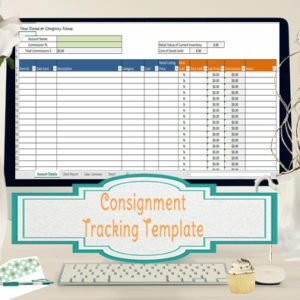 Annual inventory worksheet – this is for tracking inventory when you plan to do an end of year inventory count. Overall this package includes 8 templates, bought separately would be over $110-140+, but with the package deal you can get these upgrades between $80-120. You will receive your excel templates via email. All of the templates come with detailed directions with pictures and are designed to be easy to use. If you have any questions, please feel free to contact me. The spreadsheets are designed in MS Excel. You will need Excel 2007 or newer to use this particular template, although I have other templates that will work with excel 2003. You can purchase the individual templates (not linked together) and those are compatible with earlier versions of excel and Open Office. Even though I am typically good with spreadsheets I never seemed to have enough time to get my finances in order. Thanks to Erin’s amazing talent with spreadsheets and her complete understanding of small business I no longer have to find the time to do it myself. Plus, the spreadsheets you get from Time Saving Templates are so much more elegant than anything I would ever have been able to do on my own. 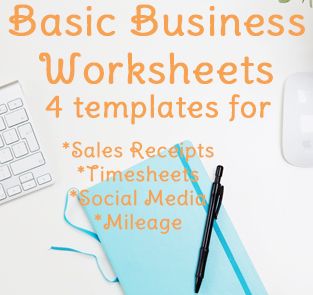 If you are looking for a system to stay organized with your business finances look no further, Time Saving Templates is definitely the way to go.